Surprise! I'm back posting on my blog. For those of you who loved my trip reports from past years, thanks! While I no longer have time for writing up trip reports as I did in the past, I will now be actively sharing information here for my youtube subscribers and anyone else who enjoys Las Vegas, Reno and Videos. Most of my posts will be about when I'm going to be in Las Vegas, if I will be live streaming during the trip and doing any group meet ups or group slot pulls. I will also link to some slot videos that I think might be of interest on new games, big wins or just a fun one with friends. Occasionally I will also share a video of a hotel room, lounge or restaurant I liked or a event I went to. 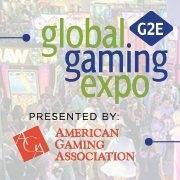 My next trip to Las Vegas is October 8th for 5 days and I'll be there for the annual G2e convention. Slot companies will be showing demos of their new games there and I hope to be able to record a few of the new games that will be coming out in the next year. I'll be meeting up with friends too and share some of the fun we have in upcoming videos later this month. I'm not sure yet if I will do a live stream from Cosmopolitan this trip but if I do and you are interested I will post it on that Facebook page link above or you can watch for it on youtube. If I do a live stream the most likely time will be Friday, October 12th at some point between 5pm or 6pm PDT/8pm to 9pm EDT before I meet up with friends for dinner. Cheers everyone and Good Luck!